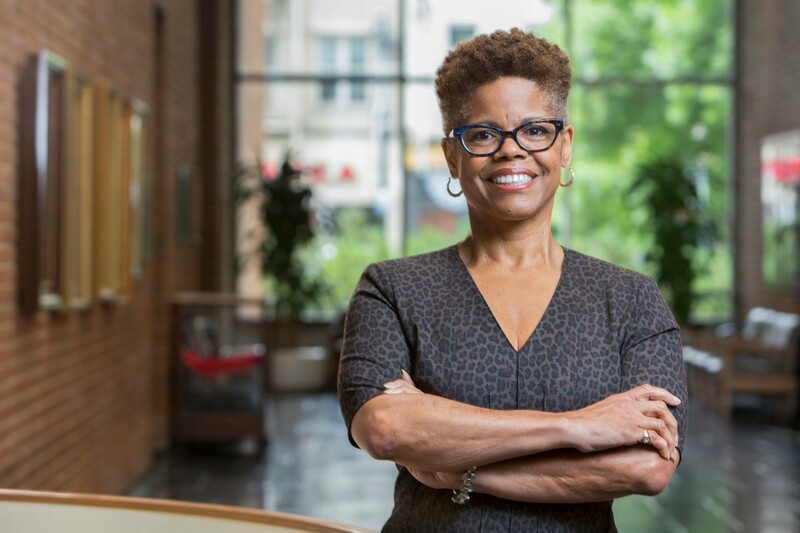 University of Cincinnati Executive Vice President for Academic Affairs and Provost Kristi A. Nelson has named Verna L. Williams dean of the College of Law. Williams, who has been serving as interim dean and Nippert Professor of Law since May of 2017, will begin April 1, pending approval by the UC Board of Trustees. Williams will be the first African American to lead UC’s historic College of Law. The college, established in 1833, is the fourth oldest continuously operating law school in the country. “I am confident Verna’s strong leadership and progressive vision for the college coupled with her legal practice in both the public and private sectors will continue to propel the College of Law forward as we create our Next-minded future,” says Nelson. The university is implementing a new strategic direction - Next Lives Here - to propel the university through the next 10 years and lead urban public universities into a new era of innovation and impact. Williams joined the university as an assistant professor in 2001. She was named professor in 2006 and served as Judge Joseph P. Kinneary Professor of Law from 2013-2017. Williams co-founded and co-directed UC’s Center for Race, Gender and Social Justice and co-directed the university’s joint-degree program in Law and Women’s Studies. Her teaching is focused in the areas of family law, gender discrimination, and constitutional law. In 2004 and 2011, she received the Goldman Prize for Teaching Excellence. Prior to joining the UC faculty, Williams practiced law at the Department of Justice and served as vice president and director of educational opportunities at the National Women’s Law Center, where she focused on issues of gender equity in education. In that role, Williams served as lead counsel and successfully argued before the Supreme Court of the United States. She has also served as a consultant for the Ford Foundation. Williams’ research examines the intersection of race, gender, and class in education law and policy. She has presented papers at numerous conferences, including meetings of the American Association of Law Schools, the Association of Law, Culture and the Humanities, and the Latina/o Critical Race Theory Conference. Williams earned her undergraduate degree in Spanish from Georgetown University in Washington, D.C. and J.D. from Harvard Law School. As the fourth oldest continuously operating law school in the country and a top 35 public law school as ranked by US News & World Report, UC’s College of Law has a rich history. Its distinguished alumni include a U.S. president, a Nobel Peace Prize winner and six governors. The college cultivates an intimate learning experience with a 9:1 student to faculty ratio and offers a wealth of resources, such as more than 40 student organizations, five journals and six centers and institutes.